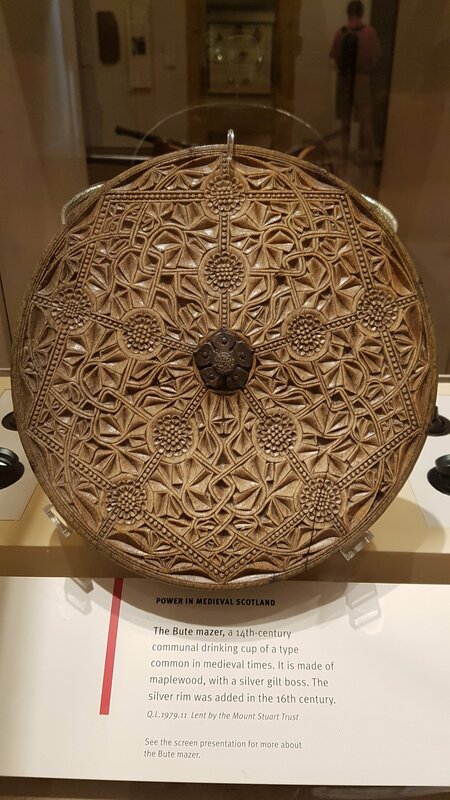 This beautiful bowl, the Bute Mazer, is found in the National Museum of Scotland, Edinburgh. 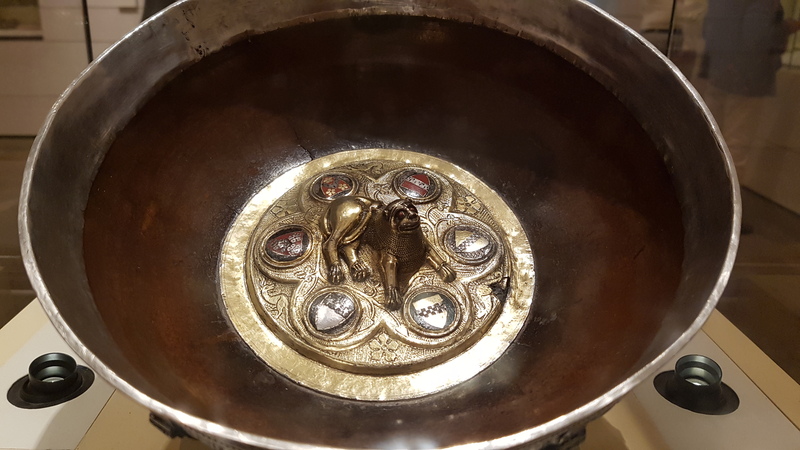 The Bute Mazer was made just after Robert the Bruce’s victory at the Battle of Bannockburn in 1314. Bruce is represented by the lion, in the centre, a symbol of power. The shields surrounding the lion are those of his supporters. The shield between the lion’s paws is Walter the Steward, Bruce’s son-in-law. Walter brought the name Stewart in to the royal line, his son, Robert II, was the first Stewart king. Made as a communal drinking cup to be shared with friends and supporters, it is made from maple wood and the lion is silver. The silver rim around the edge was a later add on, in the 16th century. Trailer for “Outlaw King” The new movie about Robert the Bruce out soon.